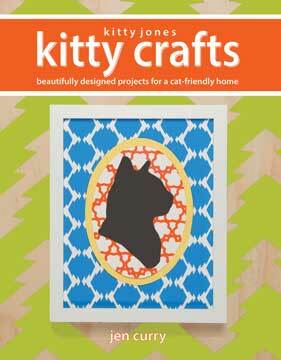 Combining basic skills-ranging from sewing to stamping to origami paper folding-with attractive projects that allow for endless personalization, Kitty Jones Kitty Crafts is chock-full of enjoyment for you and your cat. Pamper your cat with the toys and accessories in the Play section and pay tribute to your best friend with the feline-themed decorative items in the Home section. With colorful photographs of the projects adorned with cute cats, step-by-step instructions, easy-to-follow illustrations, and additional tips and tricks, each project offers a special way to honor your kitty while enhancing the look of the home that you share. Jen Curry was born and raised in Pittsburgh, Pennsylvania. She received her BFA from California College of the Arts and her MFA from Hunter College. She lives and works with her cat, Peachbunny, in New York City.